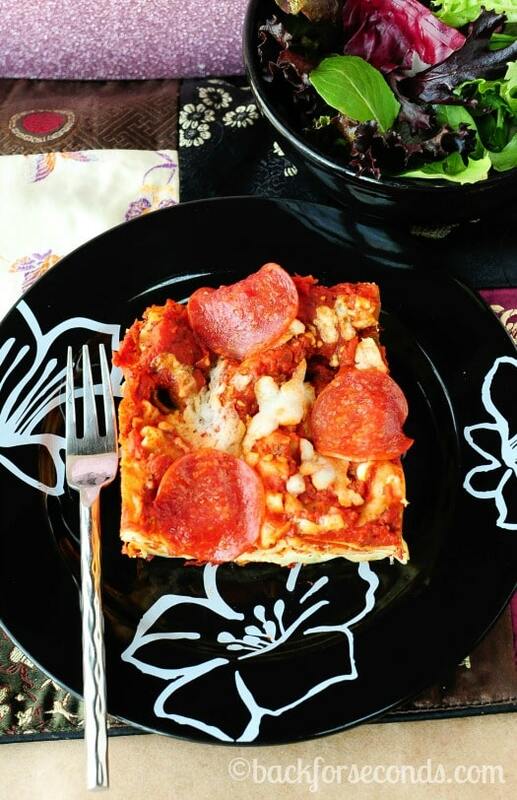 This Pepperoni Lasagna is an easy dinner recipe that you will go back to again and again. Everyone who tries this loves it. Makes a great freezer meal too! Some of you know that I am mama to four small children. One baby, two toddlers, and a very energetic young lady! This translates to not a lot of time to accomplish the tasks I need to do everyday. Like making dinner. It must be done but it must be done fast! Is it like this at your house too? 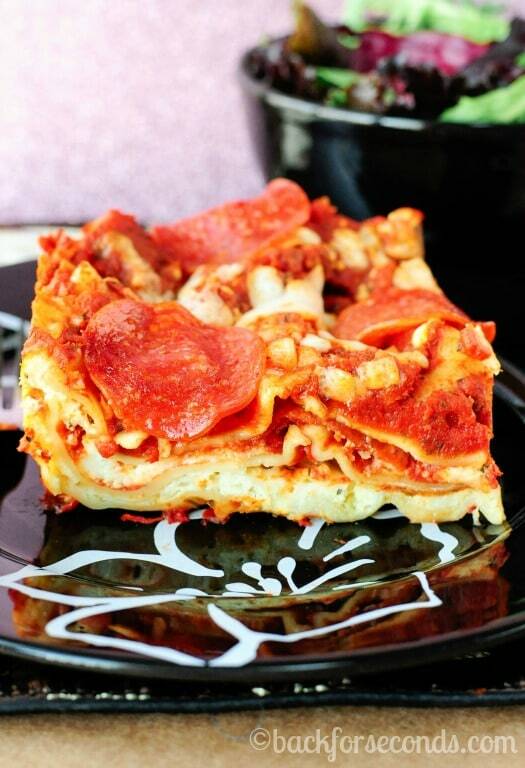 Luckily this lasagna takes very little prep time – no noodle boiling required! This meal is always met with rave reviews, and it’s one of my personal favorites too! This lasagna is one that I created several years ago when I developed an aversion to ground meat. I just can’t deal with the texture! My husband is pretty adamant about having meat in every meal though, so this is what I came up with after my all veggie version was met with “where’s the meat?” haha! The pepperoni gives it a nice kick and really amps up the flavor! Enjoy! What a terrific idea! Such a nice twist on lasagna—and the perfect comfort food for the chilly week ahead! 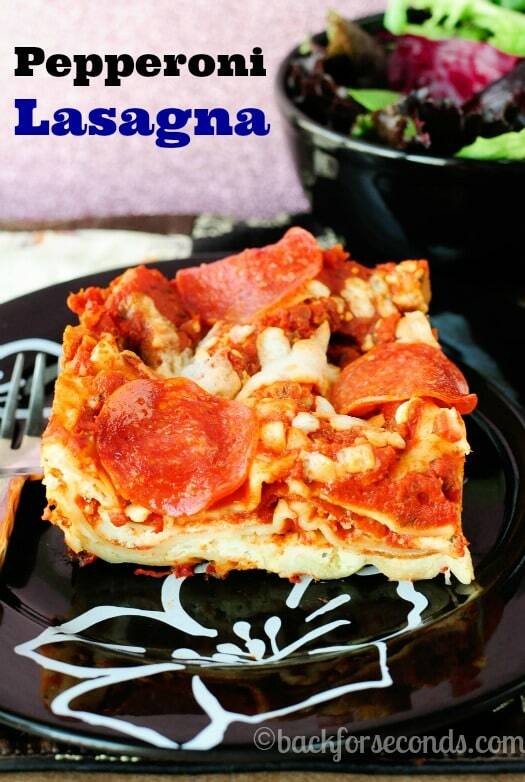 A fun twist on Lasagna! 4 Kids….I am tired with 2, God bless you, lol! It’s a delicious entree mashup!